Wait, she’s dating Mod Sun AND Tana? Bella Thorne is apparently dating not one but two people. 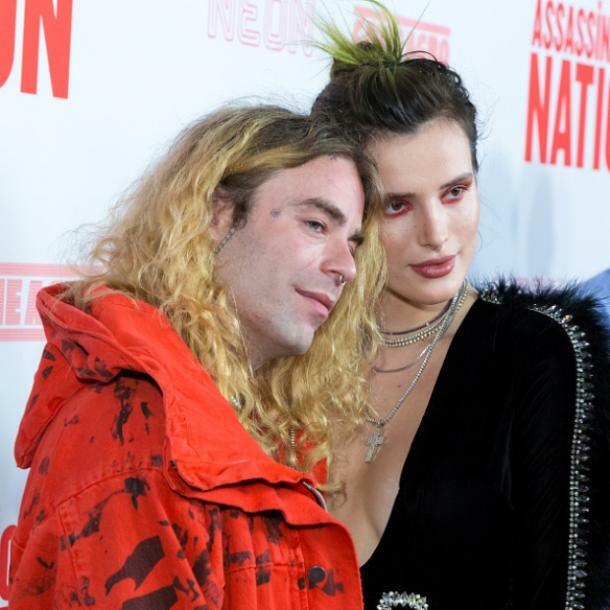 Thorne, 21, revealed she is dating boyfriend Mod Sun, 31, and Tana Mongeau, 20, in an interview with Amy Kaufman of the Los Angeles Times. As if one relationship isn’t enough work, Thorne has decided to take on two partners at once. Are they ok with this? Do they know about each other? This piece of information was casually thrown into the article so expertly that it was easy to miss. Kauffman does not elaborate on Thorne’s “throuple” relationship but one thing is clear — she has a boyfriend and a girlfriend. Thorne came out as bisexual in 2016, so it’s not surprising she is dating a girl. The surprising part is the polygamy, but who are we to judge? There have been rumors about Thorne and Mongeau for quite some time. The pair were photographed making out in Hawaii earlier this year and have posted many pictures kissing each other on social media. In April 2017, Thorne explained to Harper’s Bazaar that she’s wanted to date a girl for a while. It looks like she’s figured it out. The tell-all interview with the Los Angeles Times also explores other aspects of Thorne’s life, including her 19 (yes, 19) cats, how she began smoking weed, and depression. Thorne ended up with so many cats because she is against spaying and neutering animals. “She didn’t want her first cat, Lola, to be spayed because she thought it was barbaric, and now there are four generations of cats living here: Nuzzling against your knee, crawling up the screen windows, tearing down metallic streamers,” Kauffman wrote. The actress, who began her career on Disney, is very open about smoking pot. 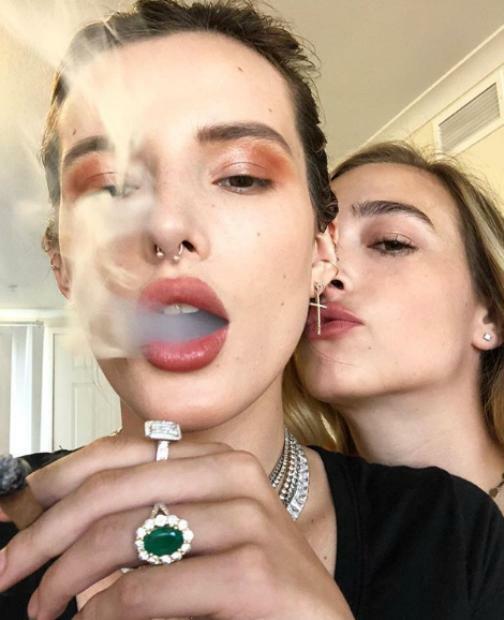 Her Instagram features multiple photos of her with a blunt in her hand or smoke bellowing out of her mouth. Thorne finally detailed her history with weed and the story of how she started smoking marijuana. But Thorne landed an acting role when she was 16 where she had to cry. She would get so lost in character that it affected her at home and prevented her from sleeping. That’s when she turned to her brother for weed.